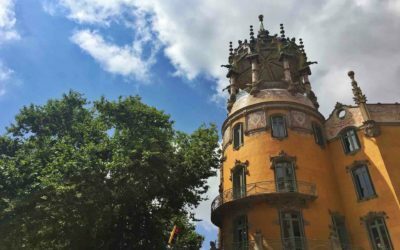 We lived in the Gracia neighbourhood in Barcelona for nearly 3 months and it is, in our opinion, the best area to stay in Barcelona. 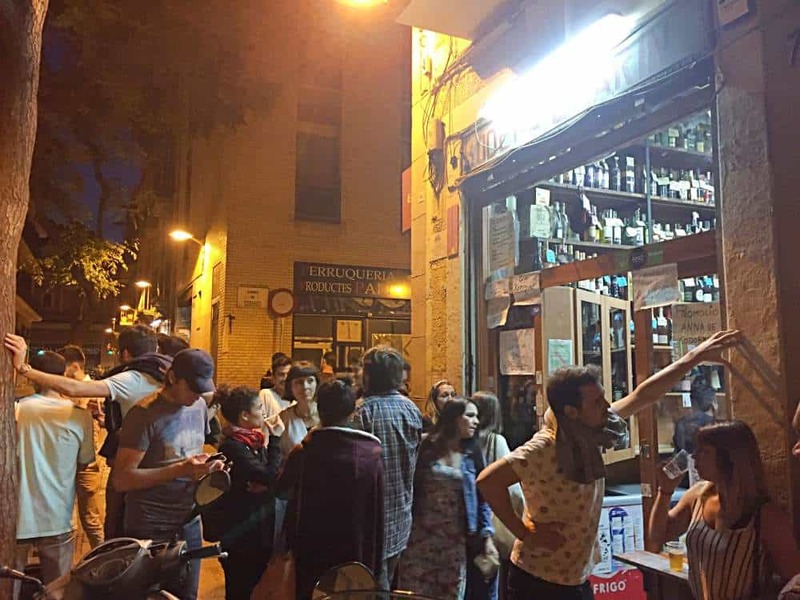 One of the reasons for this is because it hands down has some of the best bars in Barcelona. 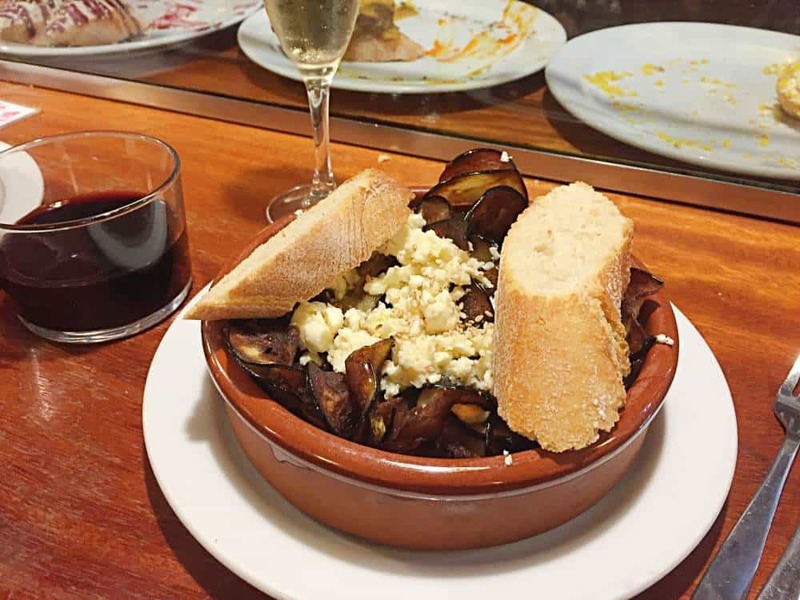 From busy sports bars to authentic tapas bars and classy cocktail bars to cheap wine bars, there is a bar for everyone in Gracia. 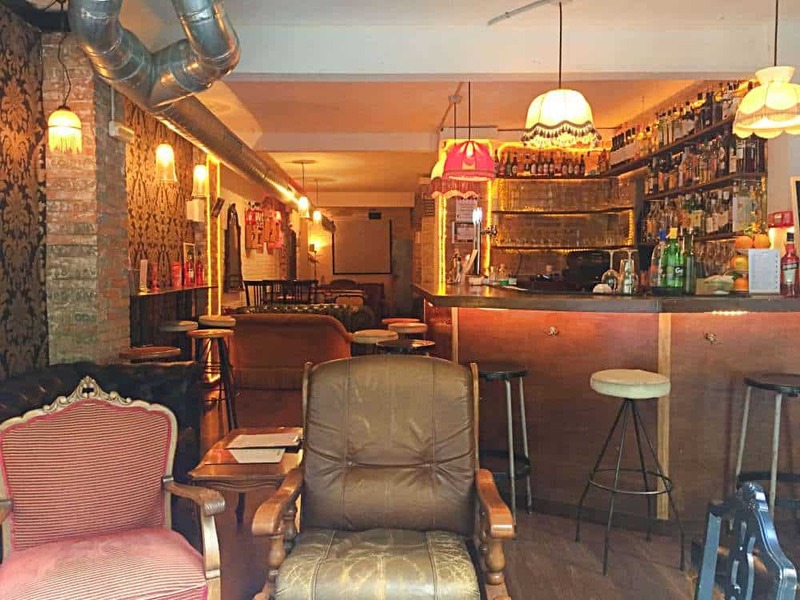 So strap in as we run you through the best bars in Gracia Barcelona. 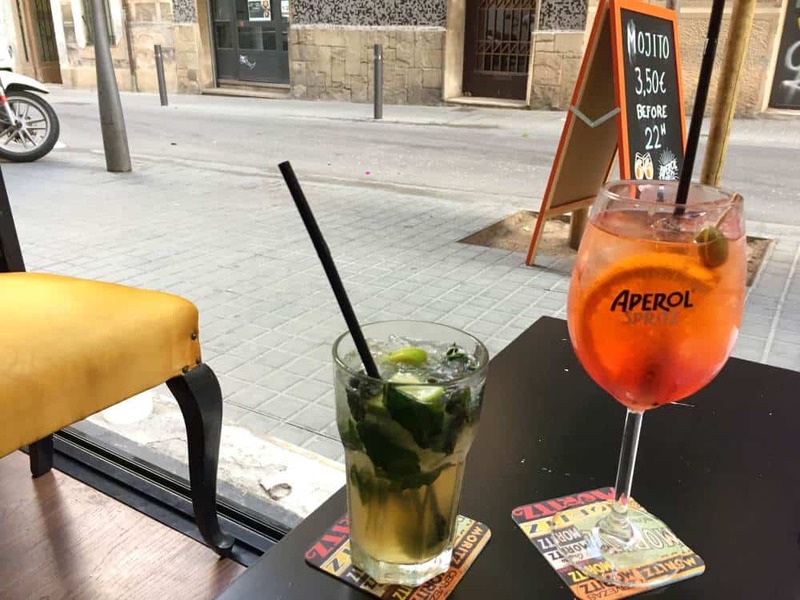 The other great thing about the best bars in Gracia is that compared to the more popular and touristy neighbourhoods in Barcelona, the prices in the places we are going to recommend are very reasonable. In most cases we’re talking less than €2 for a beer and less €3 for a good quality glass of wine. 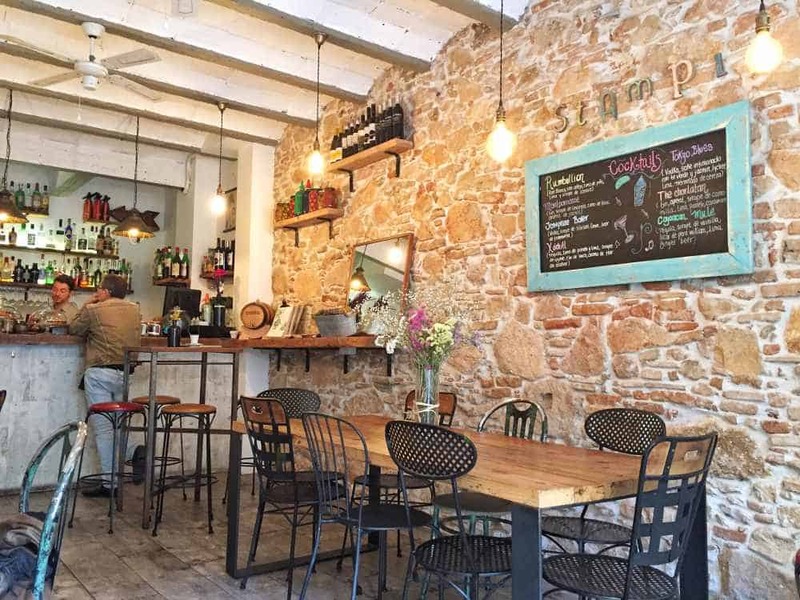 First up on our list of the best bars in Gracia is this super cool wine bar situated right in the heart of the neighbourhood on the main street Carrer de Verdi. 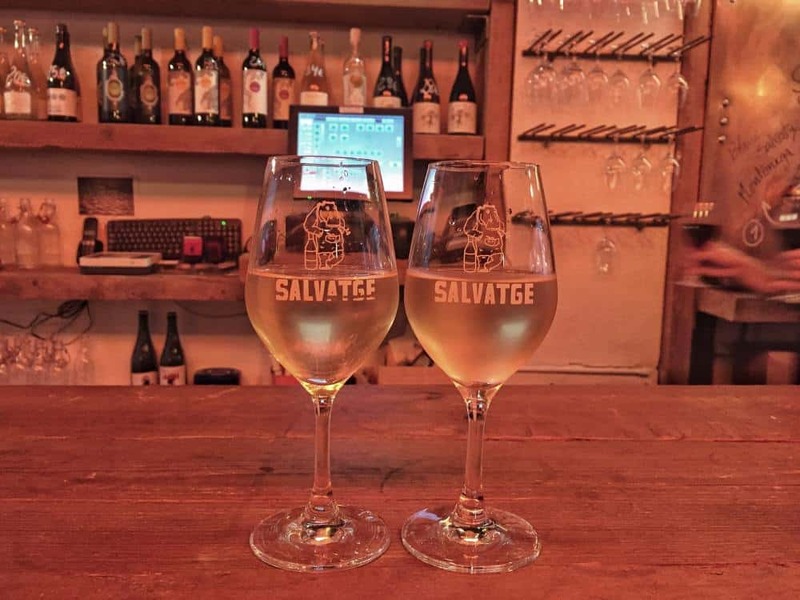 The wines at Bar Salvatge are all natural, which basically means that there’s nothing added or taken away during the harvesting or fermentation processes. So there’s no chemicals or fancy filtration involved. 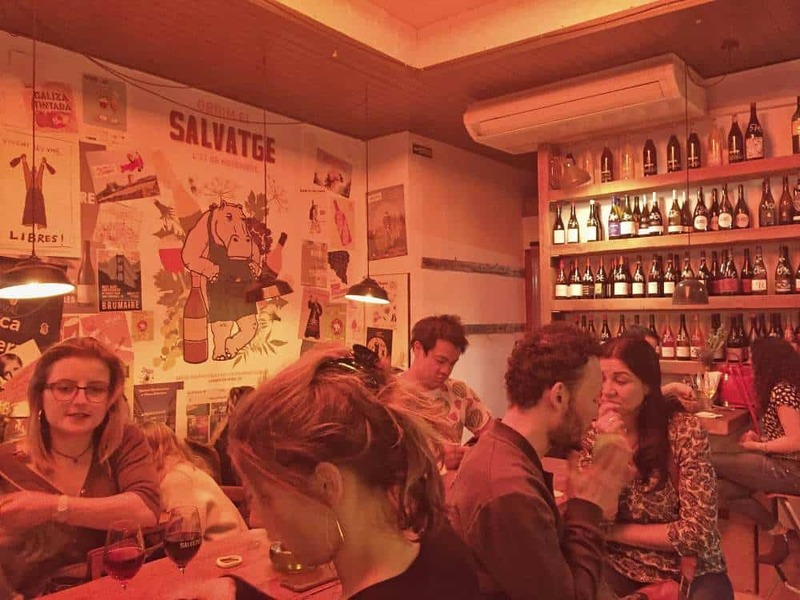 There’s a huge selection ranging from house wines on draft that cost as little as €2.75 per glass to bottles of more exclusive and selected bottles. The people who work there are very knowledgeable and will be able to direct your taste buds to the best wine for you. The atmosphere is chilled and chatty. They also serve some delicious tapas if you get peckish. 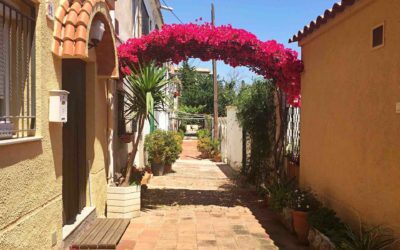 We stumbled upon this awesome hidden spot when we got lost one day whilst exploring the neighbourhood of Gracia and we went back numerous times during our stay. 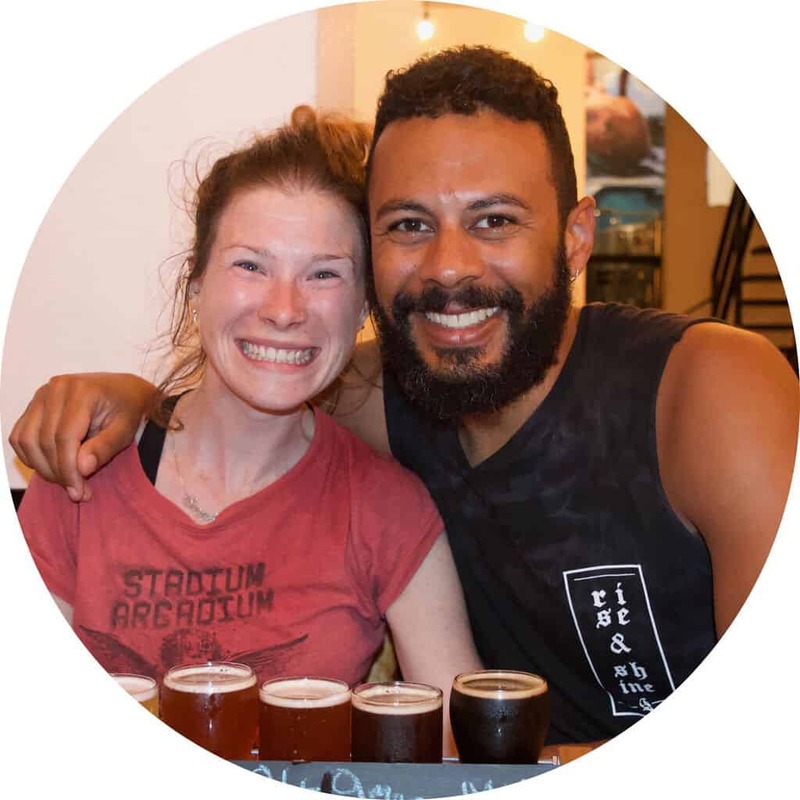 It’s a lively atmosphere and the bar staff make you feel very welcome as you place your order and they quite literally chalk your bar tab up on the bar in front of you. 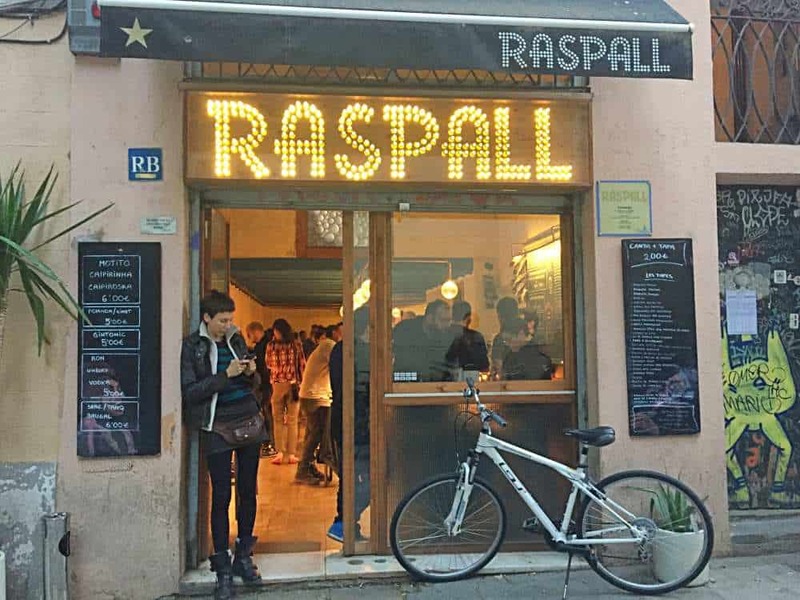 You can just drink here but Raspall is also our favourite bar in Gracia to play a little game we call tapas roulette. The menu is on blackboard by the door so take a photo on your way in because unless you speak Catalan you aren’t going to have a clue or remember what anything is. Then order away. Of course you can use google translate but it’s much more fun without it, plus we’ve pretty much tried the whole menu and it’s all delicious. Price wise they have some great deals of €2 for one tapas and a cana, which is a small beer, or €12.95 for a whole bottle of wine and five tapas. Another top notch tapas bar, again right on the main street in Gracia, you simply have to visit Gasterea when in Barcelona. There’s not alot of space but from the moment you step through the door, the bar team make you feel like you’ve just walked into an old friends house. The service is exceptional and the food and drink fantastic. Same deal, you can just drink, but trust us even you aren’t hungry once you catch sight and smell and some of the treats they cook here you will be. 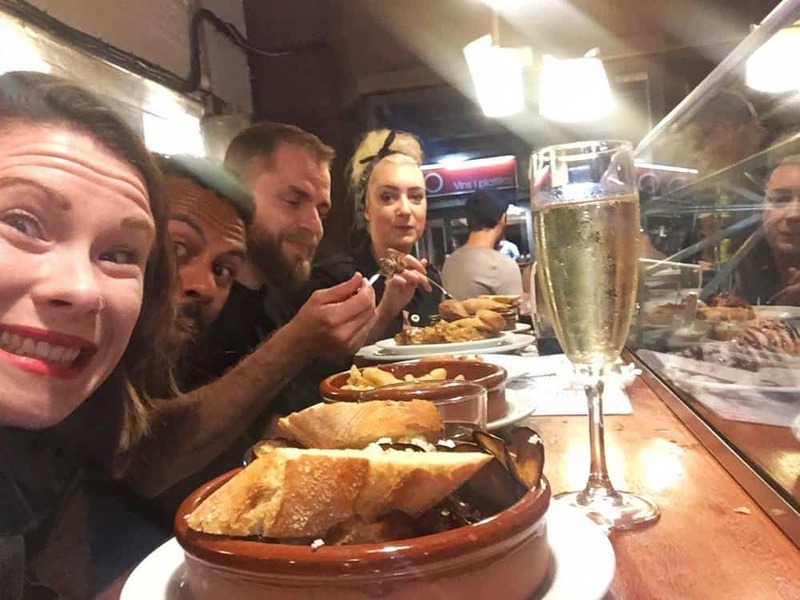 Doubling as one of the best restaurants in Barcelona, they have a huge range of traditional Pinchos at €1.90 (which is best described as tapas on bread if you’re not familiar) and a changing menu of slightly larger hot tapas dishes cooked to order for €4.50. A glass of wine is €2.25, as is a beer or you can get a cider for €2 or glass of cava for €2.65, it’s free pouring all the the way too and they certainly don’t scrimp on the measures. 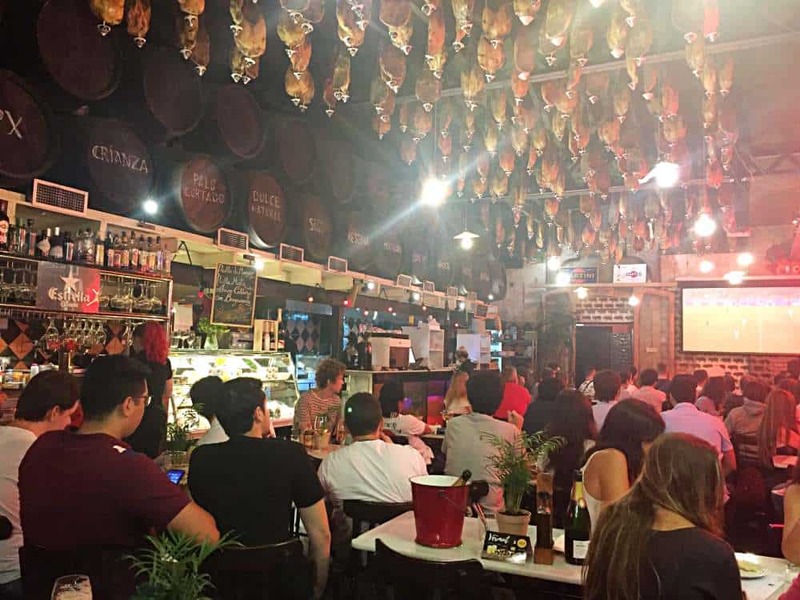 Definitely one of the best bars for those visiting Barcelona on a budget. 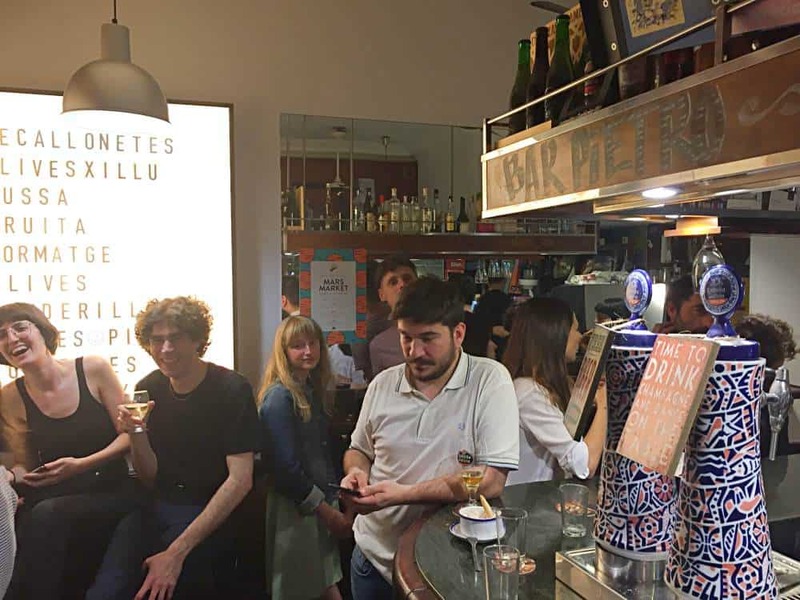 One of things you have to try in Barcelona is a Vermút and there’s no better place than this favourite bar in Gracia. You’ve probably heard of Vermouth and it’s kind of the same thing. But in Barcelona people drink it before a meal to prepare their appetite & help with digestion. It’s served over ice with a slice of orange and an anchovy olive – yes that’s right a fishy olive! Stampi Cafe is just one of the bars that has it. Nice atmosphere, cool decor, great drinks, good service, just somewhere chill to relax with a drink and contemplate life. They also serve a delicious variety of cocktails but please if you’ve never tried Vermút before order yourself a Vermút de la casa. The price is more than reasonable at €2.80. Next up on the best bars in Gracia Barcelona list is a rather odd little spot but we love it here. 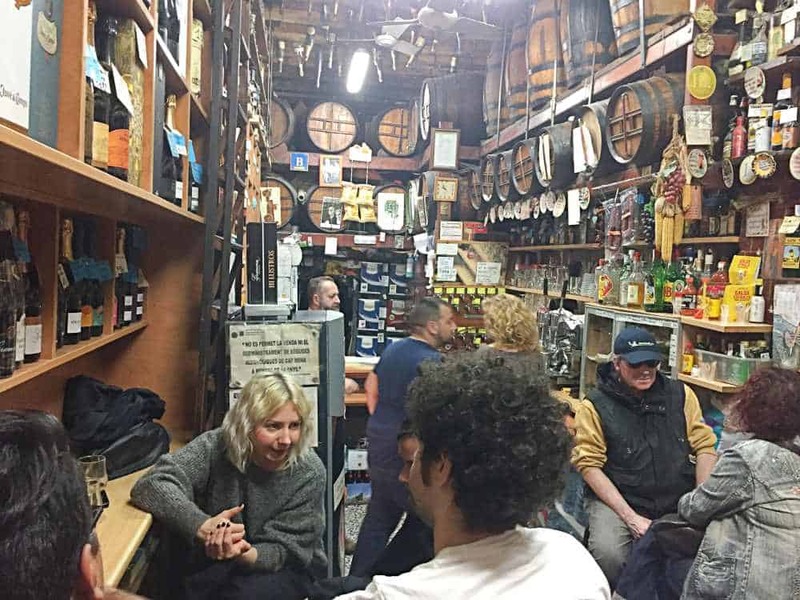 If you’ve never been to a Spanish Bodega before they are basically old school wine cellars usually packed to the rafters with wine barrels, this one is no exception and a must experience when in Barcelona. There’s a few seats inside but the done thing is to ask for outside drinks (bebidas a fuera) with which you’ll be handed your choice of vino (€2) in a plastic cup so you can stand out with the crowd on the street outside. They also serve canas of Estrella Damn for €1.50 either if you’re not a wine fan. 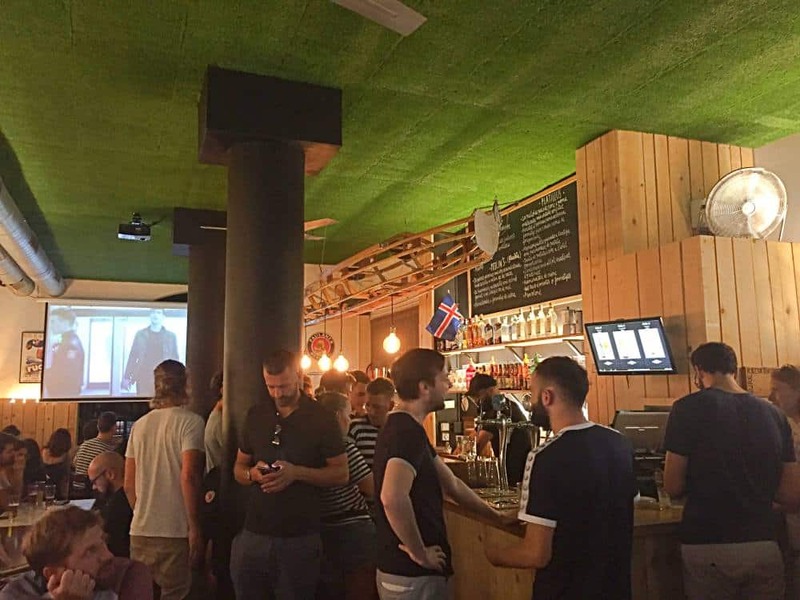 If you fancy a few cheap beers in a lively no frills bar, this is your spot. It gets pretty packed on an evening and weekends but that’s when Bar Pietro is also at its best. A small draft beer here will set you back just €1 which we’re sure you’ll agree is crazy cheap. They do serve a small selection of tapas too if you need a snack. Technically not a bar, but here’s the deal. 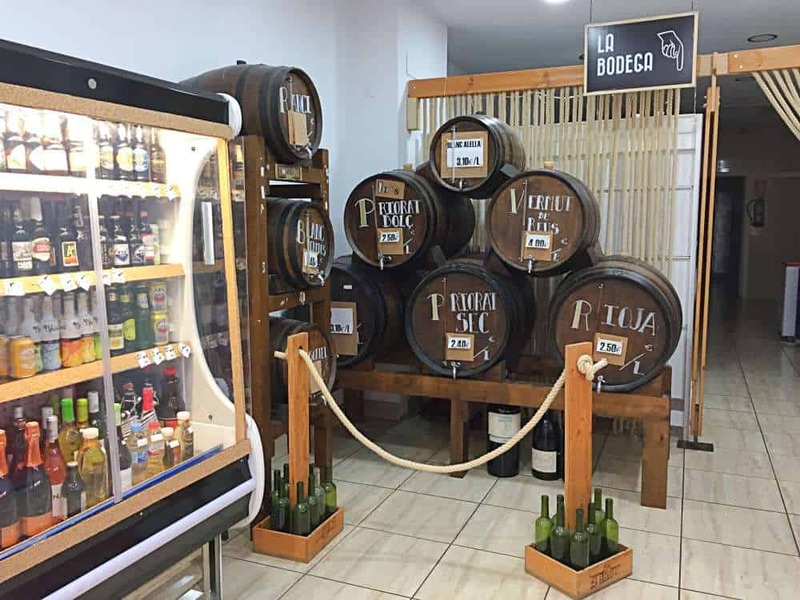 Head to this bodega and grab yourself a €3 bottle of takeaway wine from the barrels at the back of the shop and head outside to the square in front to enjoy it, Plaça del Sol. 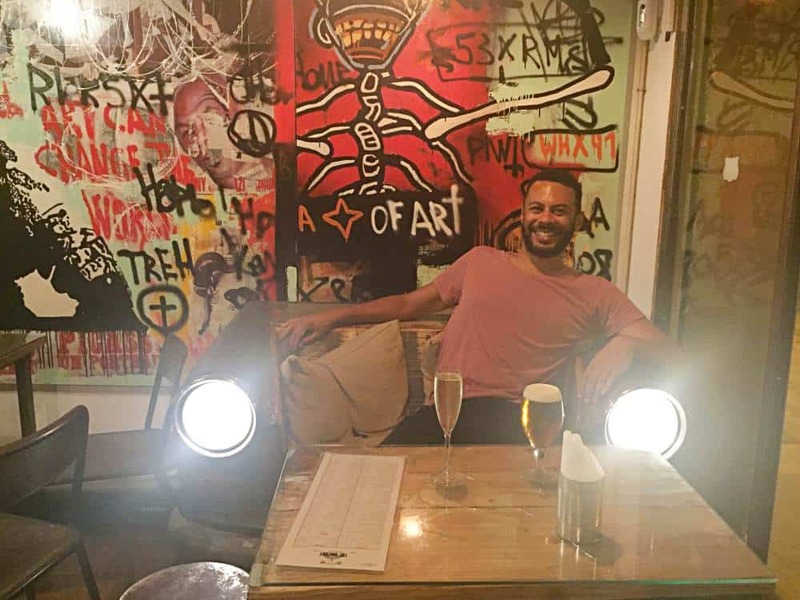 Every night when the evening rolls around this Barcelona hidden gem transforms into an open air bar where people bring their own drinks and just chill. Yes you’re sat on the floor but it’s a beautiful tree lined square with an incredible atmosphere and there’s never any debauchery or rowdiness. It is a residential area however, so except the police to pop by just before 11pm to make sure everyone is heading off home. 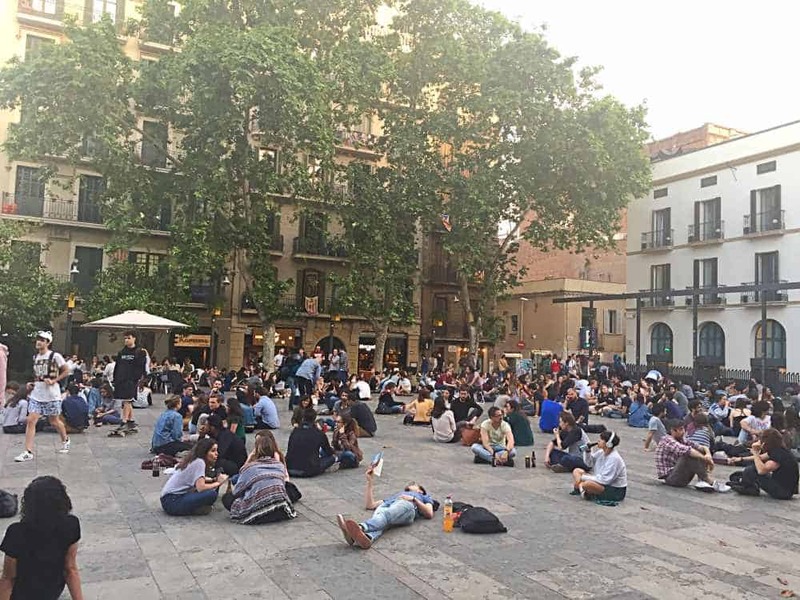 Plaça del Sol is probably our favourite spot in the whole of Barcelona. 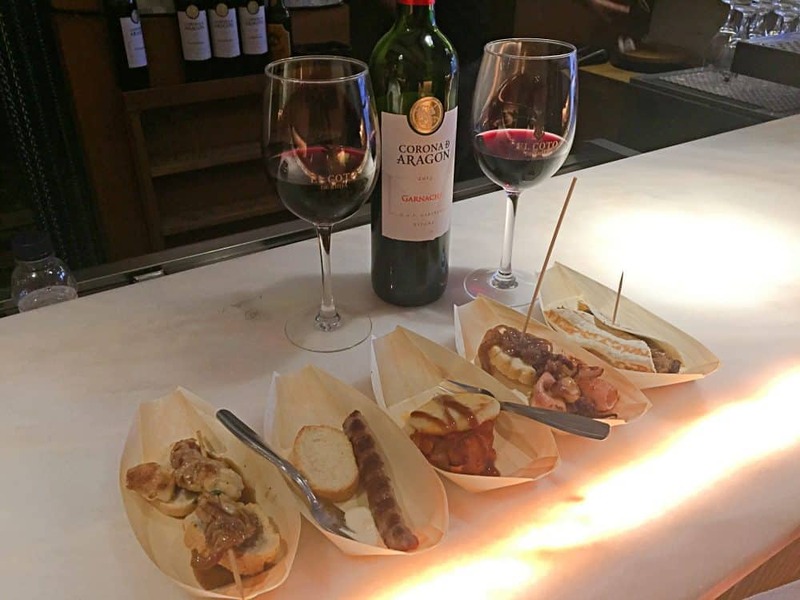 We went here a lot and spending an evening here is one of our top Barcelona hacks. If you don’t fancy getting a numb bum sat on the floor at Plaça del Sol, this bar in Gracia is a great alternative. They have a small selection of tables and chairs outside but there is also seating and standing room inside. It’s understandably more costly than the above bodega but they do a mean Sangria and some delicious tapas. We went to Sol de Nit with family and friends when they were visiting Barcelona for a few days. 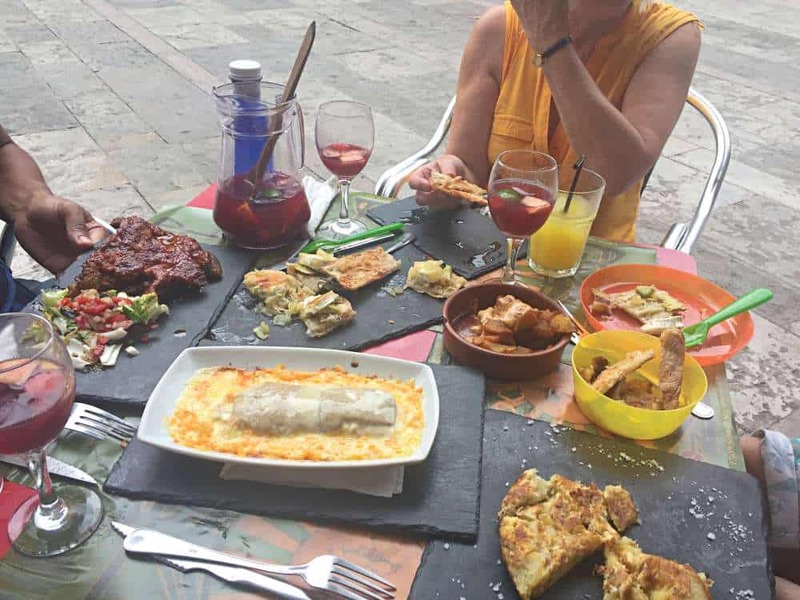 It cost around €15 each for a couple of drinks and a few tapas each so it’s hardly expensive. If you do eat here, make sure you try the camembert and the courgette chips. They are seriously good. 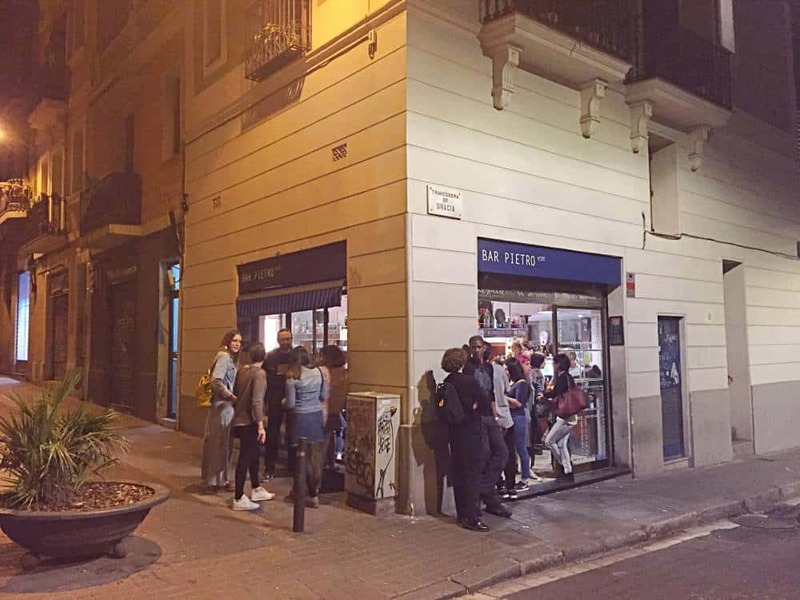 If you love your sport, this contribution to our list of the best bars in Gracia is for you. The world cup was on while we were in Barcelona so we went here a few times and it has a great atmosphere for football fans. It gets busy and there are usually only a couple of servers but don’t worry because this place has an ingenious solution in operation. Just pay up front for one of the ‘beer cards’ and you can pour your our beers from the draft pumps as and when you want another. It’s great and at €5 per litre also cheaper than buying beers one by one. They also do some delicious tapas dishes if you want some snacks to accompany the game and your beers. Another one for the sports fan, this bar in Gracia has a huge projector screen and is top draw for watching football matches. But it’s also a seriously fab bar regardless of that. The first thing you’ll notice when you walk in is the hundreds of Iberico ham joints hung from the ceiling drying, it’s quite surreal actually. Drinks wise, a large (and we mean large) beer is €4 and a large glass of cava or Sangria just €2.60. The tapas selection at El Bodegón is also very decent and well priced, don’t miss the ham croquettes at €1.65 each. You pay at the till on the way out and on a busy weekend don’t be surprised to be offered a free shot to send you on your way. 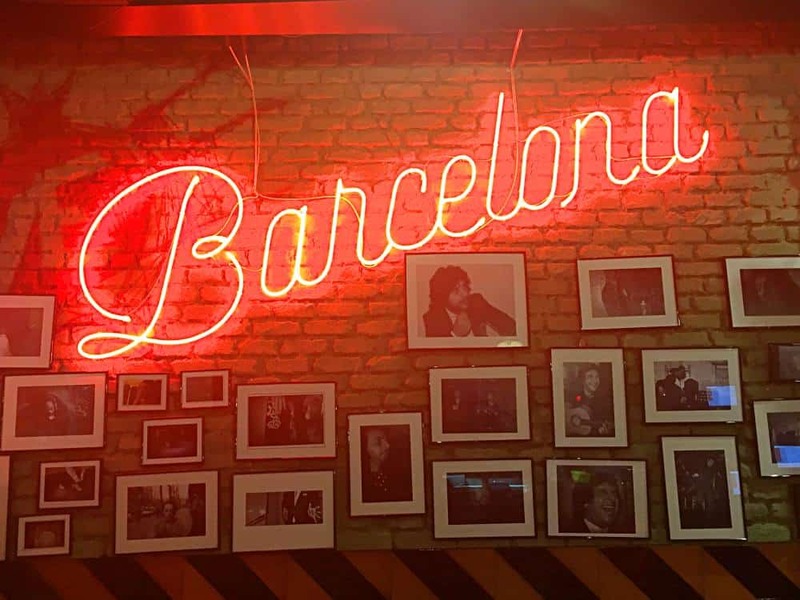 A bohemian styled bar with low lighting, comfy seats, bookshelves and funky art, this place has a well earned spot in our Barcelona nightlife guide. 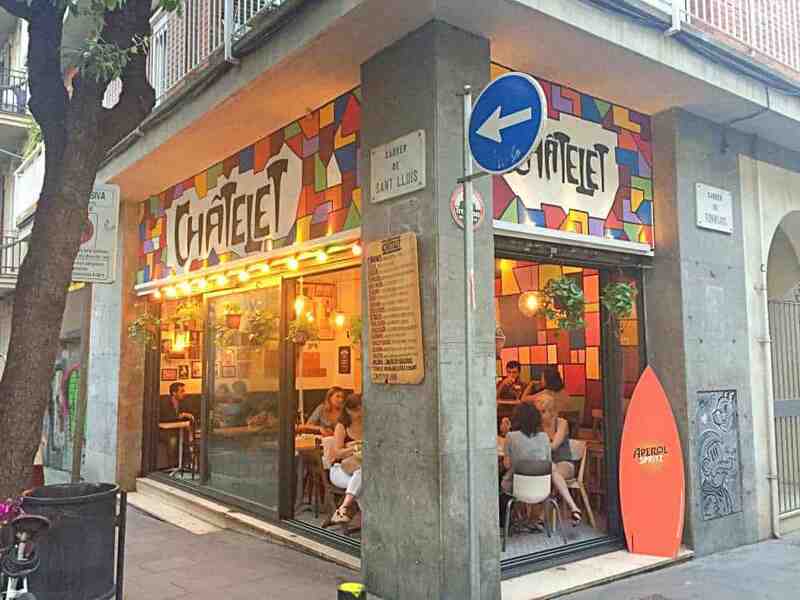 Whether you’re solo chilling or looking to kick it back with a group of mates, you’ll enjoy grabbing a drink at Châtelet. Glasses of wine are very reasonably priced at less than €3 and they also serve a plentiful variety of cocktails. 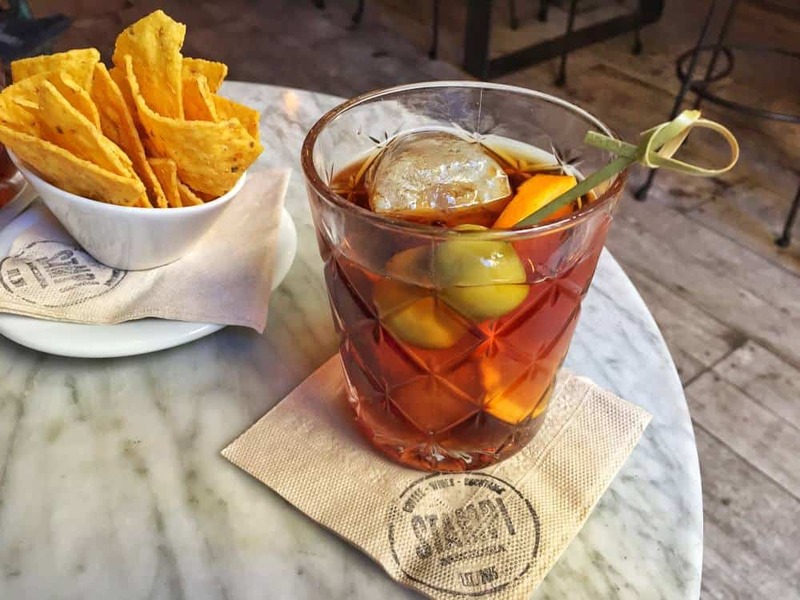 If you’re in the Gracia neighbourhood in Barcelona and fancying a cocktail, this is the place to head to for an early evening drink. Before 10pm you can grab a very tasty mojito or Aperol Spritz for just €3.50 at Le Standard. It’s a cool set up too with comfy old school leather armchairs, low lighting and mismatched furniture. 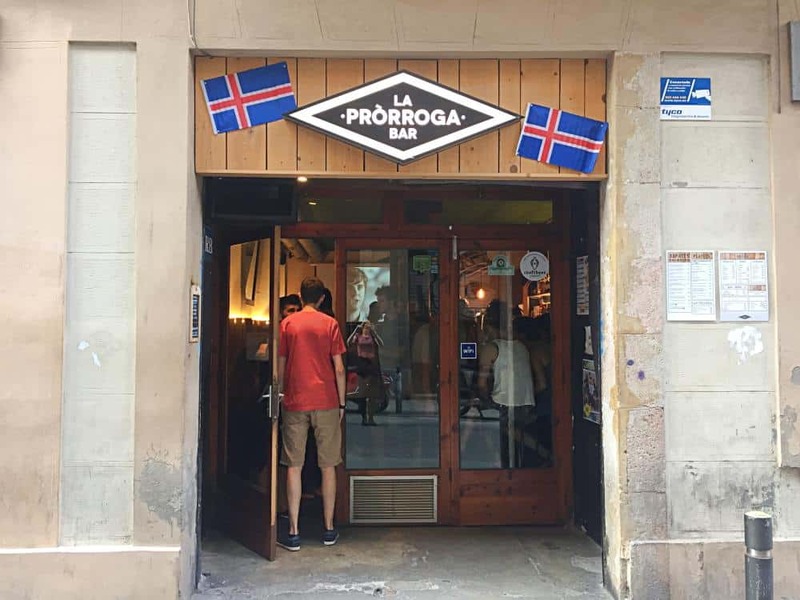 Aptly named, you likely won’t see the attractiveness of this bar in Gracia until you step inside. It has kind of ramshackled vibe with bright Jean-Michel Basquiat esque drawings on the walls and seats made out of old cars. They also have a few tables and chairs outside but be sure to head inside first to check out the decor. Drinks are a very decent price at €2.30 for a beer and €2.60 for a glass of cava. They also serve grub that looks good, although we didn’t eat here. And last but by no means the least, our go to bar in Gracia Barcelona for a good priced, nice chilled glass of red. 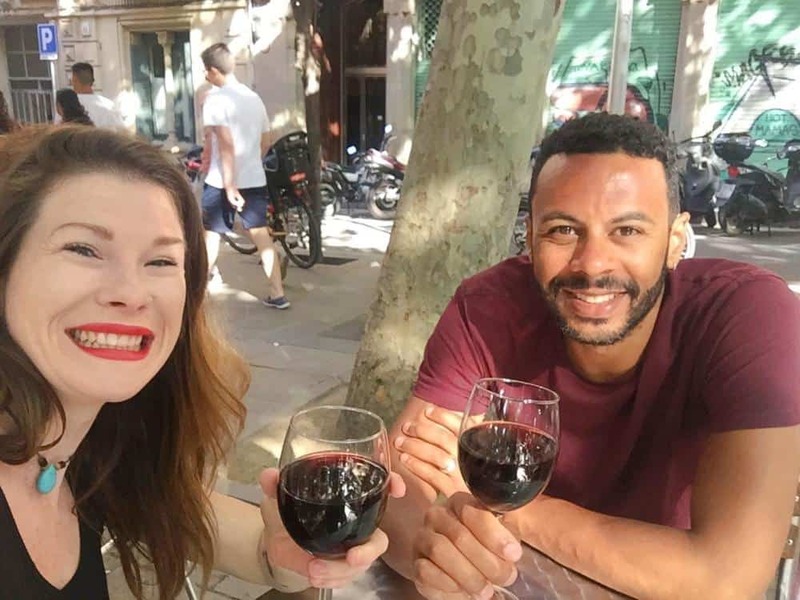 Yes that’s right, more often than not red wine in Barcelona is drank cold. If you’ve never had it before you need to try it, it’s really good. Depending on what time of day you head here you might be waiting a little while if you want a table outside because they are the best spots. Like most places in Barcelona with terraces, if you are sat outside the menu is slightly more expensive. But it’s hardly noticeable at Bar Virreina, as even outside, a glass of house wine will only set you back €3.20. If you’re hungry, or even if you’re not order yourself a bocadillo con pernil de pais – sandwich with ham of the country – you won’t regret it. 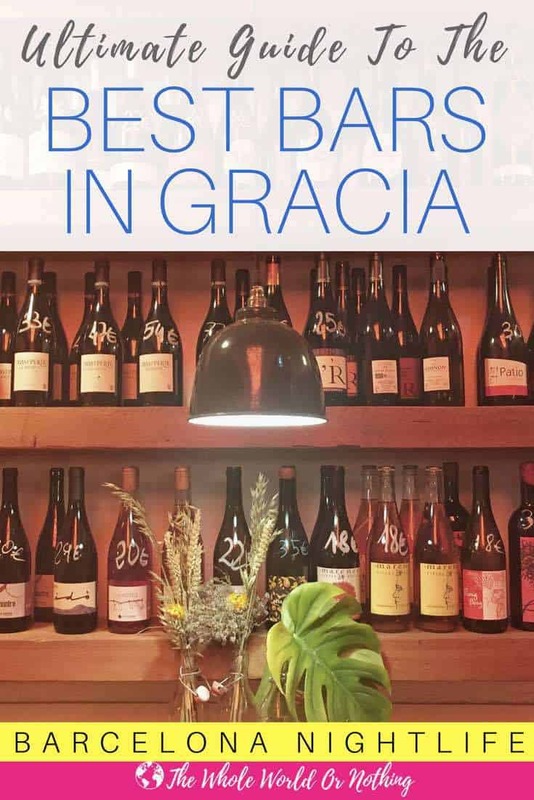 Believe us when we say this is only a small selection of the best bars in Gracia. 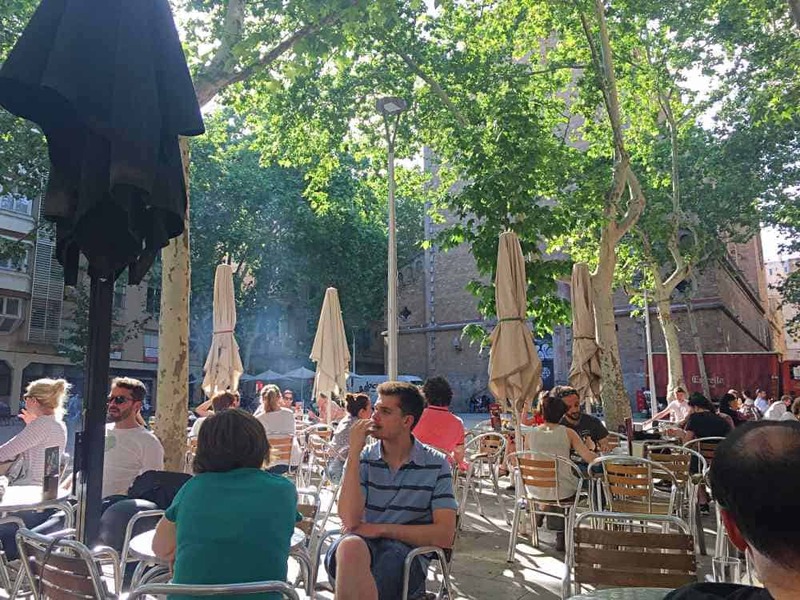 There are so many cool places to drink in this Barcelona neighbourhood but we’d have been here forever writing about them all. 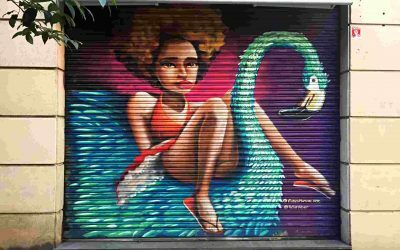 This is simply a list of our favorites that we also think are the most reasonably priced, which will provide you with a good base for discovering some of your own. 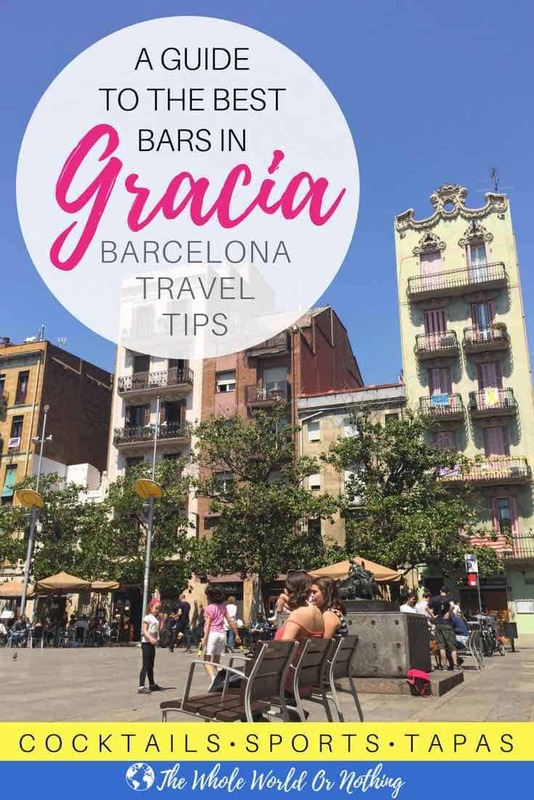 If you want to add any recommendations for more best bars in Gracia for your fellow readers please leave the details in a comment below. And also let us know if you found the content helpful so we know to write more like it. 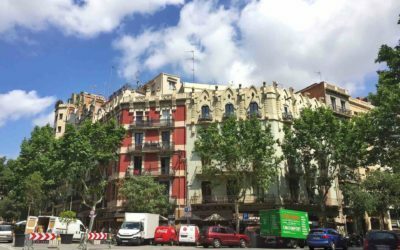 As I say we lived in the Gracia neighbourhood or 3 months and we would really recommend it as one of the best areas to stay in Barcelona. You can search for a place to stay below. Happy travels!